Android phones are new generation phones which provide a strong computing platform in hand. Android is an open source Linux based platform. It provides rich hardware support for playing games. Android phones are so popular among the teenagers for gaming. We can play many different types of games on Android phones. Simulation games for Android are more popular today. These games are derived from the real life scenarios with real time environment. Such games are full of challenges, enjoyment and brain teasing situations. Simulation games are specially for those who like challenges. We can easily pass our free time by playing these games. In this article we are going to explain about the best Android Simulation games with a brief description of each. List Of Best Simulation Games For Android. 2. Extreme Car Driving Simulator. 5. 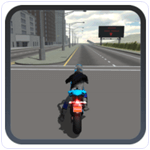 Motorbike Driving Simulator 3D. 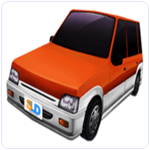 Dr. Driving is an attractive game which falls in the category of simulation games for android. Once you play this game you like to play this game more and more. It is a light weight android game with a rating of 4.5 on Google play store. This game provides us different mission like parking car, to achieve mission in given fuel and much more levels. We can play this game in online multiplayer mode with our Google account.We can get free gold when we finish mission before our opponent in multiplayer mode. Approximately 500 million users have downloaded this game. 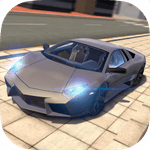 Extreme Car Driving Simulator is a wonderful Android game for users. It provides amazing car racing gameplay with multiple camera views. We can control our car with a steering wheel or accelerometer. We can perform stunt action and drive at full speeds without the police chasing us. Be a real life car racer. It provide us good 3-D graphics which make this game more realistic. Approximately 100 million people have downloaded this game. 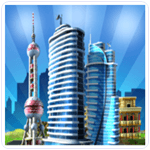 Megapolis is also a wonderful Simulation game for Android user. It is a city building simulation game in which we can make many different kind of building and develop our city. It is also compatible with tablets. Megapolis is an incredible game and we can enjoy it on large screen. We get rewards and achievements to play this game. It is also 3D graphics game. This game has more than 700 building and sites with hundreds to construction material. We can challenge to our friends with help of this game. We can make design and develop architecture such as airport, Railway station, etc. within this game. Approximately 50 million users have downloaded this game. 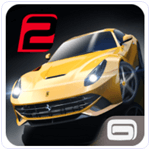 Gt Racing 2 is also a good car racing simulation game which provide good user interface with attractive graphics. We can choose different car model for racing in this game like Ferrari, Audi, Ford, Nissan and more. It provides us different mission to achieve in limited times so that we can get more coins or highest score and we can also challenge our friends to beat our score. There are many cameras in this game like front camera, eyes camera, interior views and much more. We can also improve our driving skills in various race modes available in this game such as Classic Race, Duels, Knockout and Overtake. About 50 million users have downloaded this game. If you like motor bike racing, then this game is really for you. This game provide us different control module like Nitro power, Traffic System, Accelerator and much more. We can enjoy the sound of actual motor bike engine. This game provides full HD graphics. It gives us huge real whole city map with more realistic city scenes. More than 50 million users have downloaded this game. 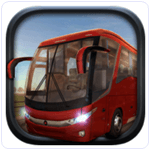 Bus simulator game is very famous among Android phone users. We can easily play this game without any experience. Everyone wants to break the highest score in this game. It provides us more control like upgrades power engine, to change bus color, improve break control, power steering etc. We can automatically open and close bus door with one click. There are various buses available such as School Bus, Double Decker etc. We can also improve our driving skills in it. Approximately 50 million users downloaded this game. This game is awesome for android phone. But we recommend minimum 1GB Ram and Dual core processor to play for this game. It provides smooth functioning and 3D graphics. 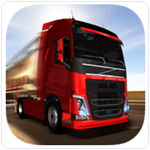 There are many features in this game like we can choose different trucks for driving. We can also challenge our friends online for good ranking to win achievements. It provides us different jobs or tasks which is available in this game. It gives us different environment to drive truck. Approximately 50 million users download this game. 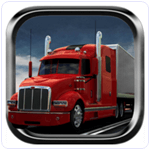 A lot of customization features are included in Euro truck Driver. It is also simulation game. Players feel like we are driving truck in real life through this game. The game is designed across many countries and allows the player to visit incredible places like Rome, Paris, Berlin and many more. We spend money to buy new truck and upgrade features of our truck. We can also easily control like tilt buttons, touch steering wheel and other control. It has amazing engine sound quality. More than 10 million users downloaded this game. 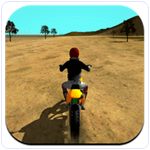 Motocross Motorbike Simulator is an awesome motorbike racing game for android phone users. Players are ready to pass the hills at full speed on a Motocoss bike. We can control the bike by turning our device sideways and enjoy a real driving experience. It is light weight android game. It has interesting interface for users and amazing graphics. This game has many features such as Nitro button, different levels and much more. We can easily play this game. Approximately 10 million users downloaded this game. 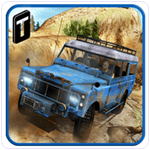 Off-road Driving Adventure is another best which fall in the category of simulation games for Android. We can enjoy this game using smooth and easy controls. It has more vehicle available such as SUV, Heavy Truck, Jeep, Monster Truck etc. It provides us good environment and graphics quality for driving. Off-road Driving Adventure 2016 is a must have game for android phone. About 5 million users downloaded this game. In conclusion, these are the best simulation games for Android. Share with us which one do you like the most in comments below. Share this article with your friends as well.